Grains, fruits, nuts, and vegetables constitute the diet chosen for us by our Creator. These foods, prepared in as simple and natural a manner as possible, are the most healthful and nourishing. They impart a strength, a power of endurance, and a vigor of intellect, that are not afforded by a more complex and stimulating diet (CDF, 363). In grains, fruits, vegetables, and nuts are to be found all the food elements that we need. If we will come to the Lord in simplicity of mind, He will teach us how to prepare wholesome food free from the taint of flesh meat (CDF, 363). God has given us an ample variety of healthful foods, and each person should choose from it the things that experience and sound judgment prove to be best suited to his own necessities. Nuts and nut foods are coming largely into use to take the place of flesh meats. With nuts may be combined grains, fruits, and some roots, to make foods that are healthful and nourishing. Care should be taken, however, not to use too large a proportion of nuts. Those who realize ill effects from the use of nut foods may find the difficulty removed by attending to this precaution (CDF, 363-364). Much time should be spent in learning how to prepare nut foods. But care should be taken no to reduce the bill of fare to a few articles, using little else than the nut foods. The majority of our people cannot obtain the nut preparations; few know how to prepare them properly for use, even if they could buy them (CDF, 364). The foods used should correspond to the climate. Some foods suitable for one country would not do at all in another place. And the nut foods should be made as inexpensive as possible, so that they can be procured by the poor (CDF, 364). Careful attention should be given to the proper use of nut foods. Some kinds of nuts are not so wholesome as others. 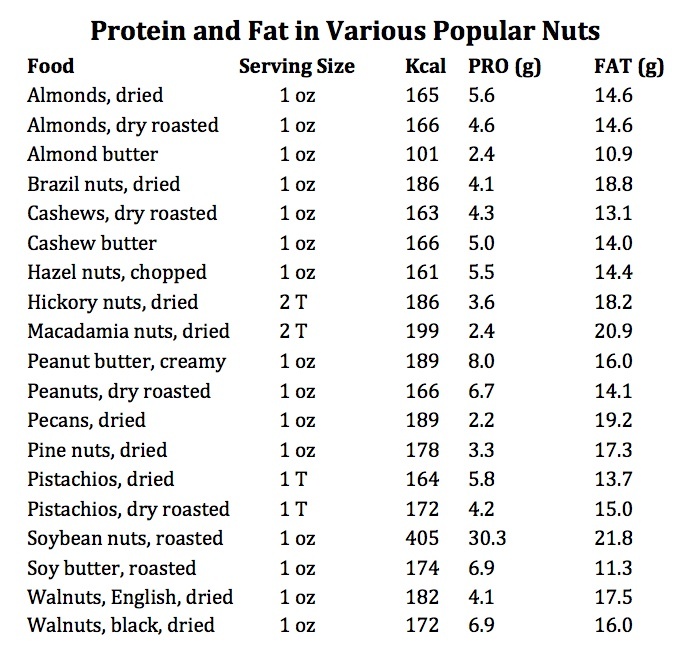 Do not reduce the bill of fare to a few articles composed largely of nut foods. These foods should not be used too freely. If they were used more sparingly by some, the results would be more satisfactory. As combined in large proportions with other articles in some of the recipes given, they make the food so rich that the system cannot properly assimilate it (CDF, 364 623). I have been instructed that the nut foods are often used unwisely, that too large a proportion of nuts is used, that some nuts are not as wholesome as others. Almonds are preferable to peanuts; but peanuts, in limited quantities, may be used in connection with grains to make nourishing and digestible food (CDF, 364). Let the diet reform the progressive. Let the people be taught how to prepare food without the use of milk or butter. Tell them that the time will soon come when there will be no safety in using eggs, milk, cream, or butter, because disease in animals is increasing in proportion to the increase of wickedness among men. The time is near when, because of the iniquity of the fallen race, the whole animal creation will groan under the diseases that curse our earth. God will give His people ability and tact to prepare wholesome food without these things. Let our people discard all unwholesome recipes (CDF, 366).